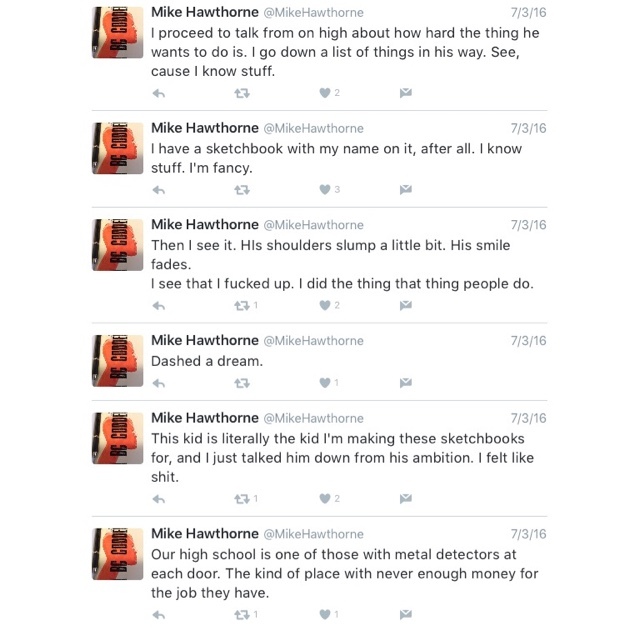 Mike Hawthorne: How not to step on dreams. 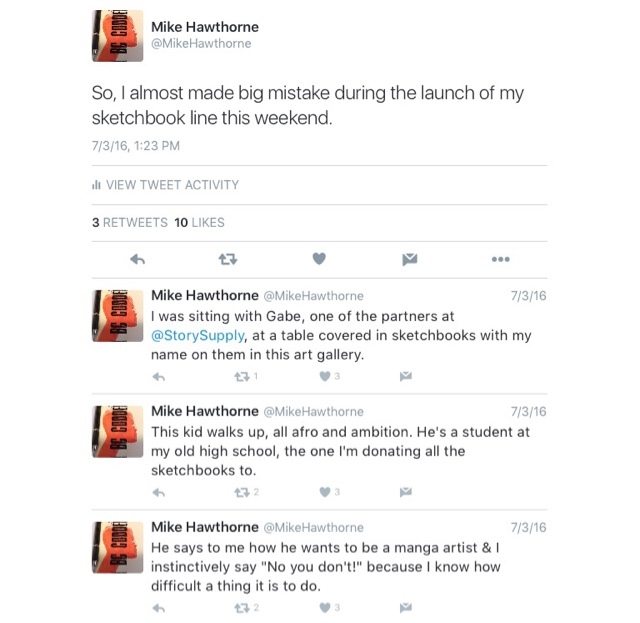 A few weeks back I shared a story on Twitter about an encounter I had with a young artist, and how I almost screwed the whole thing up. I'm happy to say it worked out in the end, but I wanted to share this with you as a reminder of how easily we can discourage the people who need encouragement the most! Please, if you are called on to encourage a young artist, DO IT! Costs you nothing, but it can mean the world to a person with ideas. Also, this story serves as an example for how kids need a hero that they can relate with. 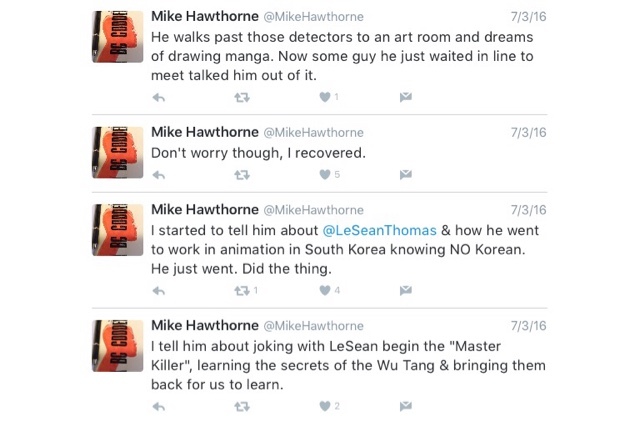 I'm happy we have heroes like LeSean to inspire young black artists trying to come up in comics and animation. Much respect to LeSean!